The truth is you just had a fight with your spouse or you recently found out about another friend who is diagnosed with cancer. You are not fine but what else are you going to say. Life is hard and it is filled with many disappointments and heartaches. Telling acquaintances about our stuff is not likely to happen. So what about family? How often do you share the real stuff with friends and family? Many of us even struggle with this as well. What about God? Do you get real with him? Many people don’t. To be honest, I am more likely to get real with God than I am with anyone else. I think this is one reason for the deep and many people have said, unusual walk I have with my Lord. Through the many heartaches of life I have had great friends and family to support me but my number one go to is the Lord. From an early age I started reading a Psalm a day. From those readings I found a God who could handle anything I had to say to him, so I did. When my mom was diagnosed with Alzheimer’s I poured out the heartache of losing her while I was still a teenager. When my husband was unfaithful, I called out to the God who knows what it is like to love a people who are unfaithful over and over again. When I miscarried my precious babies, He was the one who I cried more tears to than I thought I had. Like David, in the Psalms, my prayers are often a journey to the place of heartache, disappointment, confusion and even anger. Have you ever prayed like this? 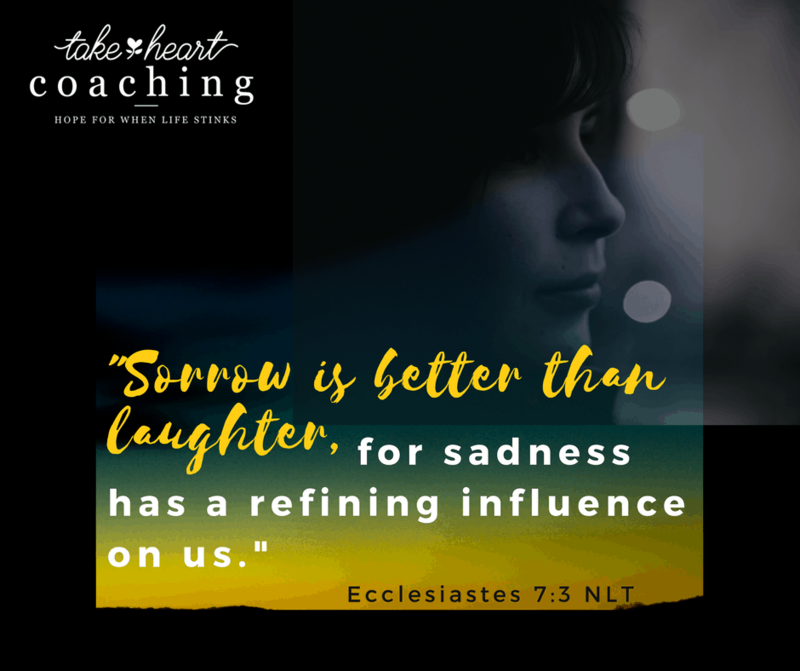 Have you learned to bear your heartache and questions to the Lord? I was excited to find a book that talks about how to bring an ending to the pretending with God. I think this is such a great resource I want you to join me in a Book Chat. Do you ever struggle with how to get real with God? Do you find yourself staying busy just so you don’t have to think about past heartaches and disappointments? No More Faking Fine by Esther Fleece is a call to end the pretending. It is Esther’s journey to healing through the prayer of lament. Lament is the gut-level, honest prayer that God never ignores, never silences, and never wastes. As I look at my prayer life I realize the times that I have been able to embrace God’s will even when I didn’t understand the what or the why of something or it was not at all what I wanted I was praying laments. I would love for you to join me in learning more about the prayer of lament. A Book Chat is just the opportunity to read through a book together. Discussing what the Lord is doing in your life with the new realizations you are experiencing through the book through an online community. Since transition is never far from my mind I was recently talking with Jesus about transitions and He helped me to think about what a major transition His birth here on earth must have been. Think about it, Jesus was there in the beginning and created the world, then He left heaven to life as one of us and with us. Imagine the enormity of that transition! Here are 2 truths, I realized about how Jesus handled this transition. He remained Confident in His identity~ When Jesus became a man though His outward appearance probably changed completely He did not lose himself. This scripture follows Jesus asking His disciples who do people say that I am? They reported what people said about him and who He was. Most did not see or understand who He was while He walked on this earth but He always knew and lived the truth of who He was. God. Man. Lover of His creation. Truth. Life. Sacrificial Lamb. For me just going from married to divorcee, from business owner to farm wife was challenging. Identity in the world today is often tied to our job or family so when there are big transitions in either of these areas it can really knock you off your feet. Each time I have found myself needing to dig into my identity with the Lord to find my new normal. I am, still Loved. Adopted. Cherished. Forgiven. Gifted. Called. Obedient even unto death~ Jesus submitted to the will of the Father. Not only did He have to take on the limitations of man but He had to die a terrible death as a man. Yes, He knew the Big picture and willingly died on the cross for your and my sins but it was not easy. 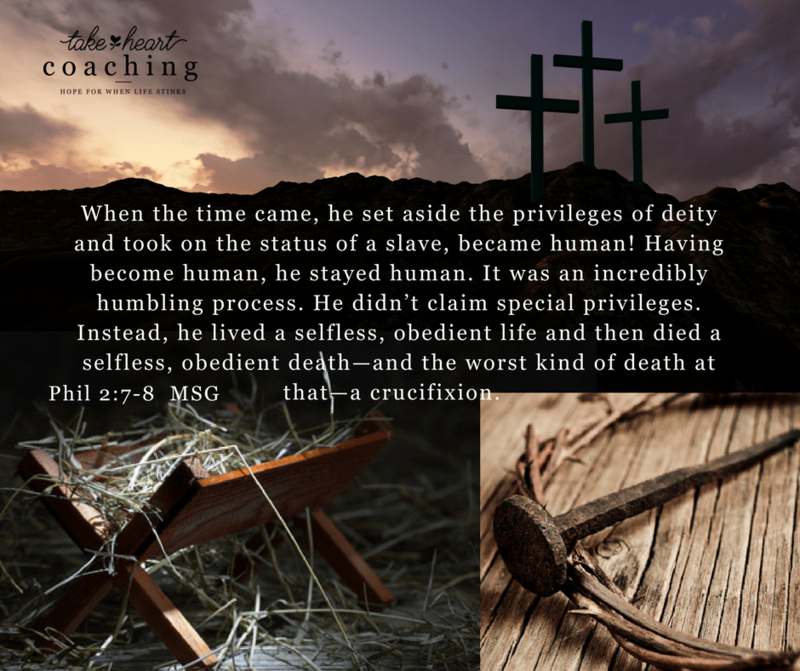 The Bible is clear is was a very difficult time leading up to the crucifixion. Each transition in my life has taken me to a place of bowing my will to His in obedience. When we closed Sylvan in 2011 it was the result of a long struggle. I knew I would not always work and have a home 90 miles from the farm but I loved what I did. Working with families to help their kids be more successful in school felt like it was what I was created to do. When I stopped struggling, willing submitted to God, He made it clear, that season of my life was to come to an end. The families seeking the service hit an all-time low, the corporation continued to move away from what I felt was best for my students, it was time. In obedience, the business was closed and my home was sold in 6 short weeks. Not as I will, but as You will Father. I’m so thankful that I was able to see Jesus in light of how He lived out a difficult transition. Though I can see that I have demonstrated these same traits in my life transitions I am also challenged to get there quicker in future transitions. Focusing on my identity and realizing that NOTHING in this world can change who I am or whose I am, is the bedrock of weather the changes of transitions. Then because I know whose I am I can also embrace His will open hearted and open minded. I know the opportunity to live these two lessons out again will come, I just pray I will be more ready, willing and able to bring honor and glory to the Lord in the midst of it. Have you found that knowing your identity in Christ and obeying Him has helped you embrace transitions in your life? Annie F. Downs is another of those authors who shares the true nitty gritty of her life. She lays it all out in this latest book. Though a popular author she found herself in a place she calls her broken crazy. Her honest sharing of the journey to finding herself in a place that she can love and embrace herself and her life through finding the lovely in the middle of the hard. At the end of each chapter she challenged the reader to look for lovely in their everyday life as well. I must admit that Annie’s style of storytelling is very compelling but I the overall story seemed disjointed to me. I did love the way she tied it all together at the end of the book. One of the most important statements she made was, “When I found lovely in me and in the world, it changed everything.” This book was her journey to this realization. Annie classified herself as a quitter. Realizing that everyone does not view quitting the same way she did caused her to seek people who were not quitters and learn from them. She found nonquitters define it differently. Nonquitters don’t quit when it gets hard, they just take a pause and then go back to it again. They keep trying until they get it. She could not relate but she did desire to understand perseverance and develop it. Endings was one of the areas of Annie’s life which was hard. They made her want to quit. Quit developing new relationships, quit the hard work of caring for others. By learning to persevere she learned to live with both the hard and the good. She shared that what helped her learn to finish is to see God in the people you meet and in the moments, you have to let them leave. Believe God, He is who holds things together, including those friendships, those memories and your heart. Grace was a lesson Annie had focused earlier in her life so adding perseverance to grace led her to an even greater understanding of both. All grace can make you lazy but all perseverance can cause you to be judgmental. Grace with perseverance gives you permission to not be perfect but to strive toward excellence. They can even be partners to bring growth. I highly recommend this book to young adults. Her communication style and life experiences will be one many millennials will definitely relate to. I don’t know about you but I don’t love to wait. In fact, I’m not sure I know anyone who loves to wait. So I guess this means this book must be just what everyone needs. The subtitle sums it up, Finding Peace in God’s Pauses and Plans. Wendy Pope created a wonderful journey of exploring David’s pathway from anointed King to reigning King. We often think of David without really thinking about how long the journey was that the Bible takes us through. Like David we are often called to wait. Why is it so difficult to do that? Wendy is vulnerable and shares times in her life when she had to wait. The key is she didn’t always wait well so she walks us through how to Find Peace in God’s Pauses and Plans. Wendy’s writings are full of lots of great reasons for why the wait is so hard but the best news is her suggestions on how to make the wait worth it. I really like the way Wait and See is setup with Chapter 10 being designed like a journal with questions to help us evaluate our current call to wait and really begin to put the new mindset and practices into place in a current situation right now. One of my favorite chapters is When Waiting Messes with Your Mind. The battle of our mindset can make or break our attitude, no doubt. This chapter is full of great stories and truth. I love that Wendy reminds us to keep our minds in the word which will keep the lies in check. Often when we are waiting we begin to be more susceptible to the lies of Satan. Biblical truth always kills the lies. Wendy goes on to remind us that Peace from prayer fills us and makes the desire to quit lose its power. The more we pray the stronger we become and the more able we are to take down the quit. Finally, in that chapter she goes on to remind us that Praises have great power in the wait as well. “Praise has a marvelously, mysterious aspect to it that slays defeat.” The study of the Psalms really brings this truth to life. Waiting on God isn’t wasting time; it’s training time. So thankful for the truth of this statement! I know if you take the time to really look at times of waiting in your life through the information provided by Wendy you will do it better and gleam more blessings from it than you have before.